At several of the Airbnb homes where we stayed, there was no phone signal, let alone Wi-Fi, only pristine beaches, forests and mountains. We were looking forward to resting from our school and work routines. And I wanted to read my Bible for fun. Okay, I’ll admit that Bible reading probably isn’t Number One on most sane people’s “Fun” list. We do it, but it’s probably on a different list altogether—the “Things-That-Are-Good-For-Me-That-I-Don’t-Enjoy” list, along with cod liver oil supplements and visits to the dentist. 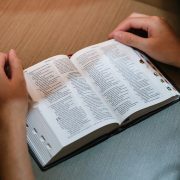 I’m no different, and the thought of Bible reading usually fills me with mixed feelings, ranging from mild reluctance to guilt and occasional dread. But it strikes me that this is unfair to God. The other things on that list are understandably off-putting, involving degrees of physical discomfort in return for questionable benefits, whereas God’s Word costs me nothing and bestows infinite grace, comfort, wisdom and counsel. So, why don’t I crave it more? I unintentionally treat the Bible as a spiritual clinic or dispensary. I search its pages when I have questions or needs, when I’m suffering, or when I want something. So, when life is fine by my standards, I lose the urge to read His Word. I treat reading God’s Word as a task. This could be in church, during Bible study prep, regular Quiet Time, or during an academic Bible course or seminar. Structure is by no means a bad thing, but if I start becoming merely dutiful, Bible reading can feel like just another task. Having ticked it off on my “to-do” list, I wouldn’t go back there just for fun, right? Not when there’s Netflix . . . which brings me to my next reason . . . There are plenty of distractions. That’s right, the instant gratification of non-urgent distractions such as my hobbies, my Spotify playlists, the Internet, and video games or other forms of entertainment, can make reading feel like hard work. 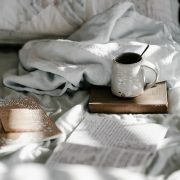 Maybe you can relate to these reasons or think of more. 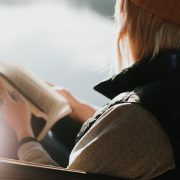 There are plenty of ways to counter the feelings and objects that take our time away from God, from better planning to implementing device-free hours at home, but let’s leave aside that half of the equation for now and focus on our motivation for Bible reading in the first place. It’s probably not enough just to get rid of the obstacles to our reading. You see, on holiday I didn’t have the time pressure of duties and deadlines—I could take my time with my 12-month Bible reading plan, for instance, and not rush to prepare next Sunday’s kids’ Bible story or answer 10 questions for this Friday’s Bible study. My usual technology-dependent distractions were also removed. But helpful as all of this was, it didn’t mean that I automatically hurried to open my Bible. After all, as in any kind of relationship, feeling bad or guilty might motivate me to read a few verses once in a while, but guilt doesn’t make for a lasting engagement. Even a neutral feeling won’t keep me returning to God’s Word. Put aside one distraction, and another rushes to take its place. The same sentiment can be found in verses 24, 35, 47, 70, 77, 92, 111, 143 and 174—you get the picture! This psalm was penned by a believer who recognized that the world around him was disappointing, treacherous and not as it should be, but that God’s Word was trustworthy, true and satisfying. And how much more so for us who are living after Old Testament times and can know Jesus, the fulfillment of God’s promises! Do you remember that amazing moment recorded for us in Luke 24, when Jesus appeared to His followers after His resurrection and helped them see Him in the scriptures? Jesus showed them that He is the fulfillment of God’s Word—“the Word made flesh”, as John’s Gospel tells us. Yes, I can go to the Bible to find wisdom and answers useful for teaching, rebuking, correcting and training myself and others in righteousness. But even more than that, what a gift I have been given, that in the Bible’s pages, both Old Testament and New, I can see Jesus and everything He’s done for those He has saved. To borrow a phrase from pastor and author John Piper, to pick up my Bible for fun is to expect to “see the beauty of Jesus in His word”. Happily, during my holiday, I did pick up the Bible just for fun, and not only once but several times. Beach-combing, forest-walking and rock-climbing in peaceful surroundings helped me appreciate God’s creation more so than in the fast-paced city where I live, and I wanted to read about His works. As I reflected on the many things and people I was grateful for, I also found myself thankful for everything that God has done in Jesus in their lives and mine. Repentance for the forgiveness of sins has been proclaimed to me and to you, and we continue to proclaim it to the world—how awesome is that? Of course, holidays don’t last forever, so as I get into stride with 2017, I’d like to manage my duties and distractions so that I continue to pick up the Bible for fun. How about you? 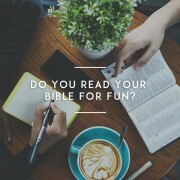 Do you find enjoyment in God’s Word? Why not try looking past the footnotes and cross-references, and simply enjoy the greatest story ever told—that of the Savior of the world, as revealed in the precious pages of your Bible? https://ymi.today/wp-content/uploads/2017/01/Do-You-Read-Your-Bible-For-Fun-opinion.jpg 613 1024 Contributor https://ymi.today/wp-content/uploads/2017/05/ymi-logo-black-3.png Contributor2017-01-13 09:30:422017-01-13 10:02:09Do You Read Your Bible For Fun?